In a hurry? No Google account? No good at spreadsheets? 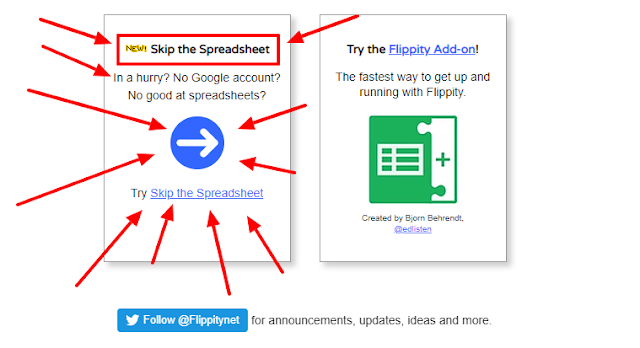 Skip the google spreadsheet and hop straight into your Flippity activity. 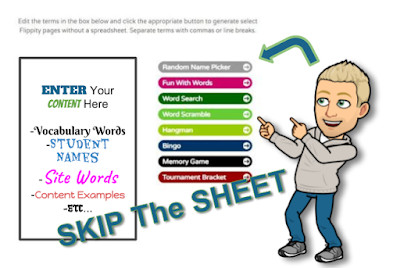 This is great for educators needing to create a quick activity for their students. The "Skip the Spreadsheet" method is great for quickly hopping into an activity with your students. Flippity has 8 ready to go activities to get you going with flippity.net. Just add your content to the text box on the left, and go! Enjoy!